When you are in the market for anything of importance, there are three simple factors to consider: quality, price and service. From this list, you get to pick two of the factors that are most important to you. How so? For example’s sake, let’s say you are looking for the perfect Turnip Twaddler to add to your collection of must-have kitchen aids. Buck-O’s Turnip Twaddlers are new to the market so you are not yet sure of the service they provide if it needs to be warrantied – even though the quality and price are within your scruples. Theodore’s Turnip Twaddlers are very reputable, but the price is close to three-times that of Acme Industrial Turnip Twaddlers. This goes on-and-on from Brand C to Brand D and beyond. And now you get the point. The Trailcraft Maxwell 24 with XT M8000 components cleans up nice and dirties up even better. 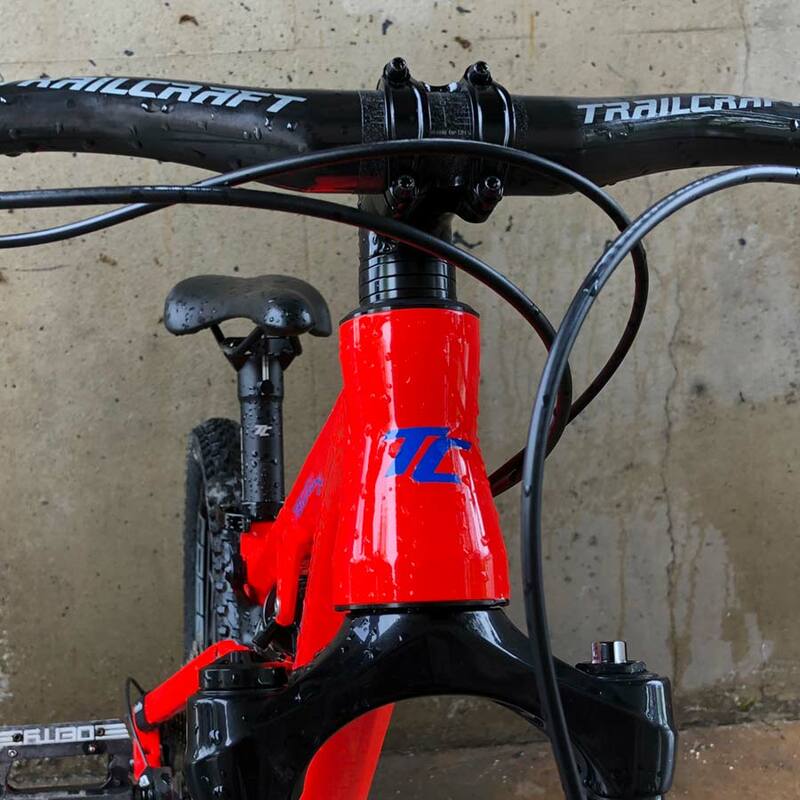 Enter the Maxwell 24 with Pro XT M8000 build from Trailcraft Cycles. We were lucky enough to get our paws on one of these weapons of mass progression and put it through its paces for a few weeks. Our initial impression was that this thing is pretty boss. 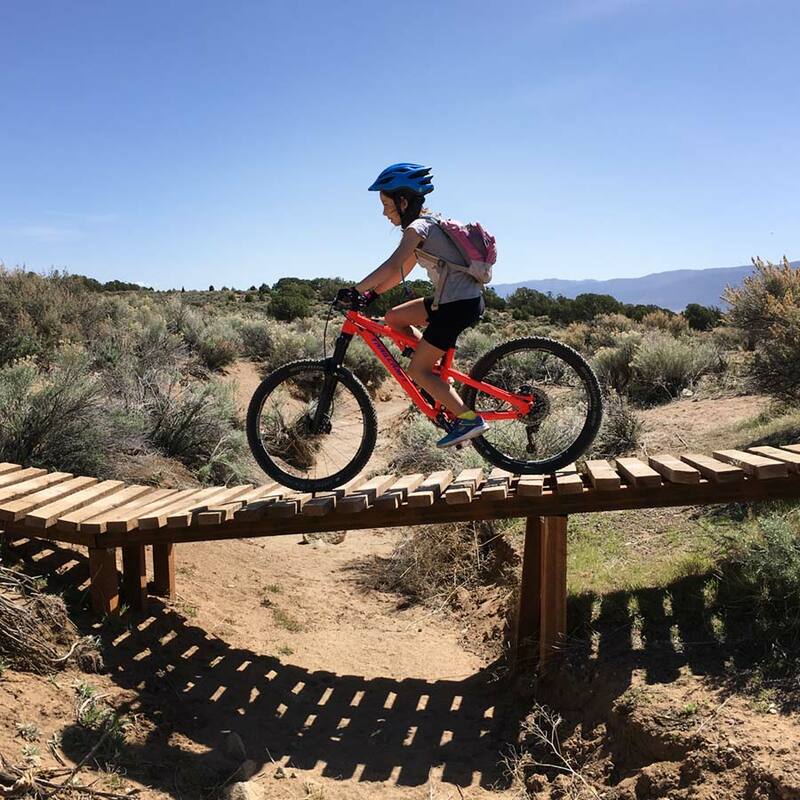 Aficionados of kids’ mountain bikes already know of the Trailcraft brand and their offerings; but to newcomers, this ride is on par with premium adult builds. 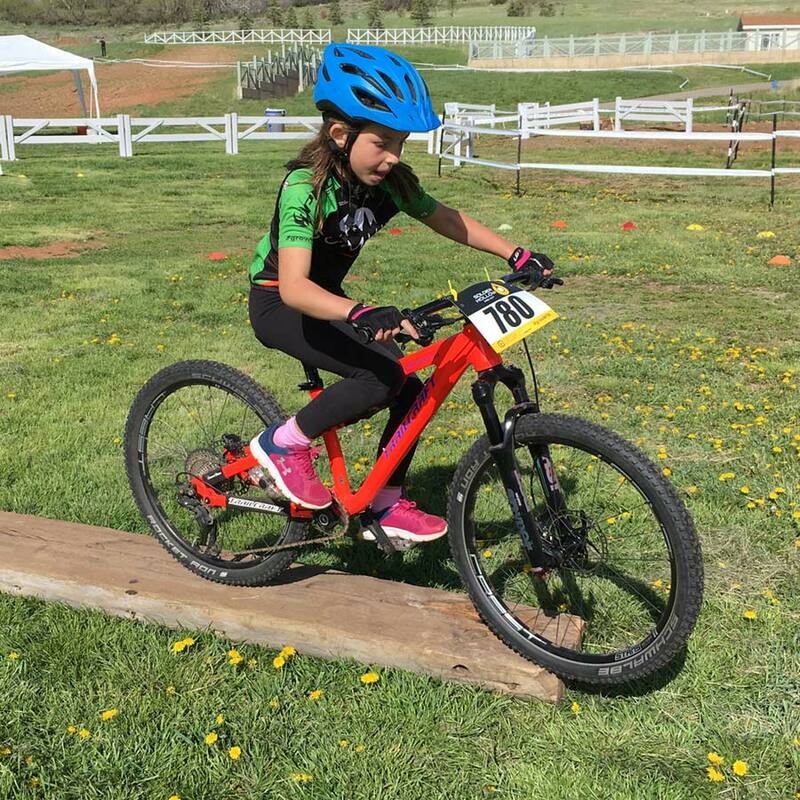 If you have an aspiring XC racer or enduro kid, the Maxwell 24 deserves its position at the head of the pack due to its weight, geometry, and options for components. After you visit their website, get in touch with Trailcraft Cycles. 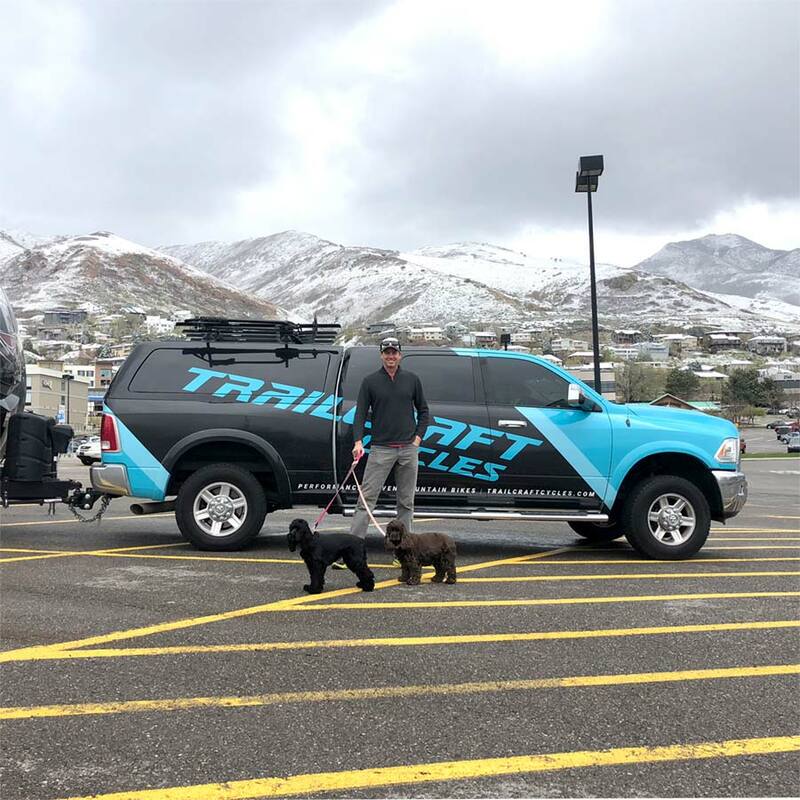 If you call, one of the owners (Ginger or Brett Rosenbauer) will pick up the phone and take you through all of the options for one of their bikes. 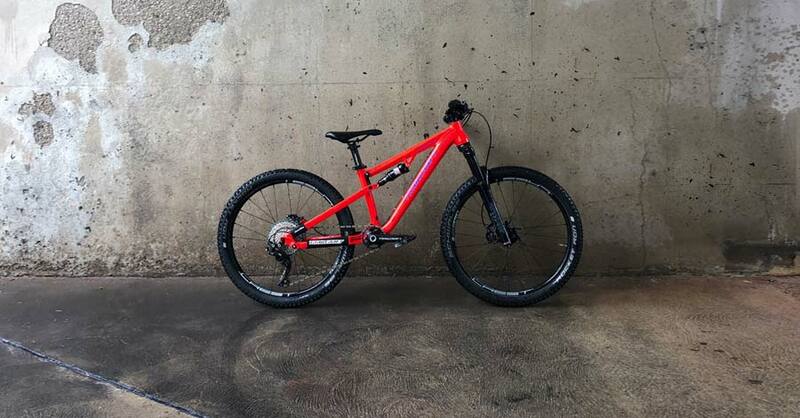 All builds for the Maxwell 24 start with an aluminum-alloy frame with a 74º head tube angle, 390mm chain stay length and 630mm / 24.8inch standover height. With a 2.1inch tire on the rim, the bottom bracket height is about 11.8inches from the trail. 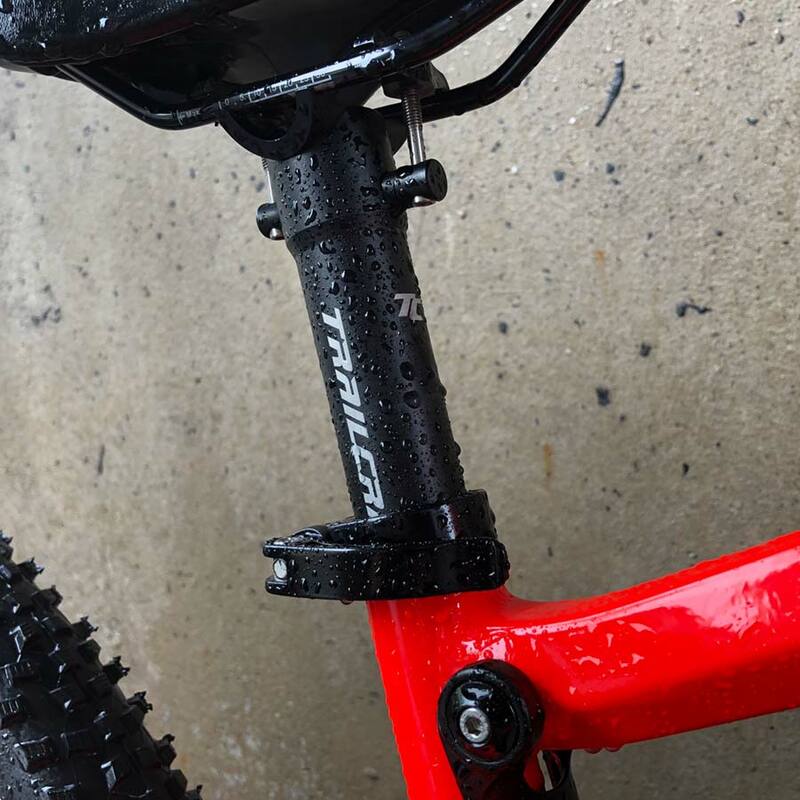 We know that fit is first when it comes to choosing the right bike for your kid, so it will be good to learn that the horizontal top tube length is 500mm / 19.6inches. If you believe your rider is in need of a dropper post, the frame can accommodate one of the stealth variety. There is an additional port on the drivetrain side of the seat tube above the bottom bracket shell. Let’s start with a tour of the crankset. The Maxwell 24 with Pro XT M8000 build begins with the direct mount 140mm cranks with options for a 26t, 28t, 30t, or 32t chainring up front. 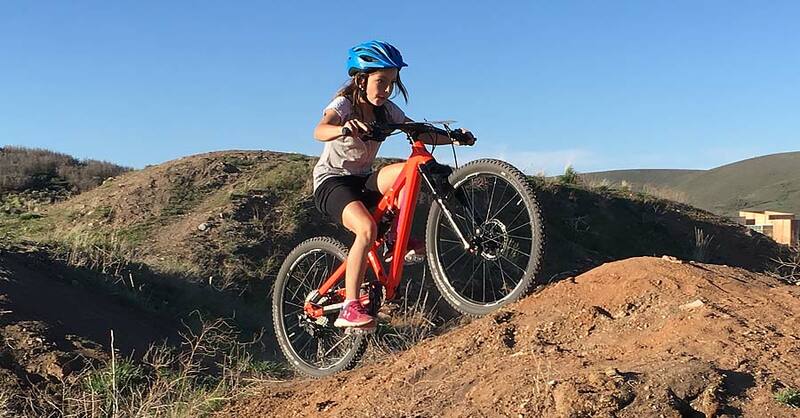 No front derailleur here – as these kids’ bikes are of a contemporary bevy. This not only saves weight, but also eliminates the hassle of having to maintain an additional element of shifting opportunities for curious fingers and thumbs. 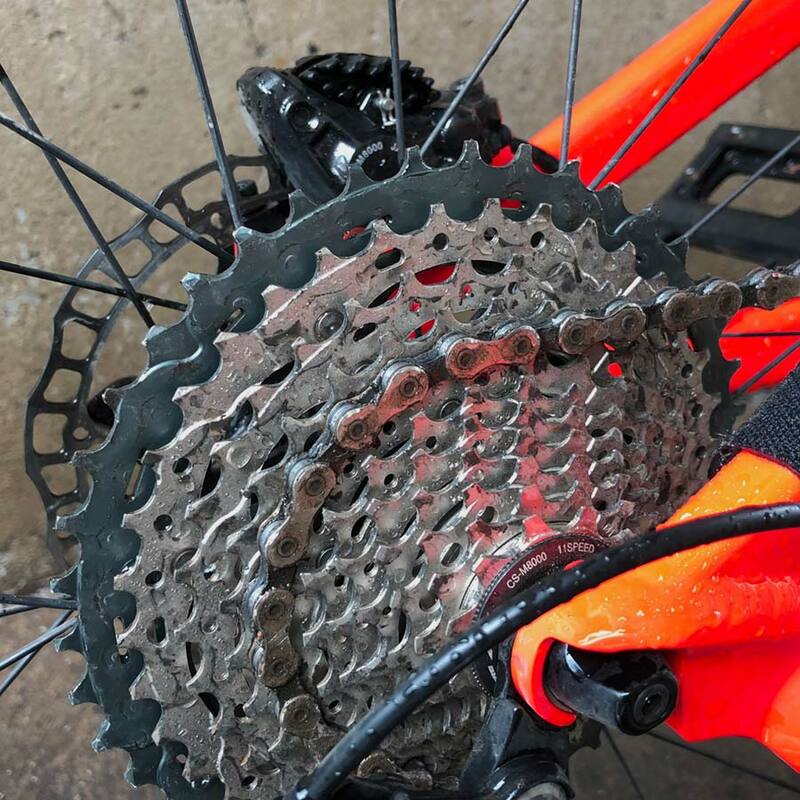 The rear cassette on our bike was fit with a 11-speed Shimano XT M8000. It’s cluster was composed of sprockets sized 11-42 and our rider thought this factory set up was pretty nifty. The transmission on the Maxwell 24 with Pro XT M8000 build is controlled by a Shimano XT M8000 11 Speed I-Spec shifter. Throw some decent pedals on this sled. The pedals shown in our photos are not included. 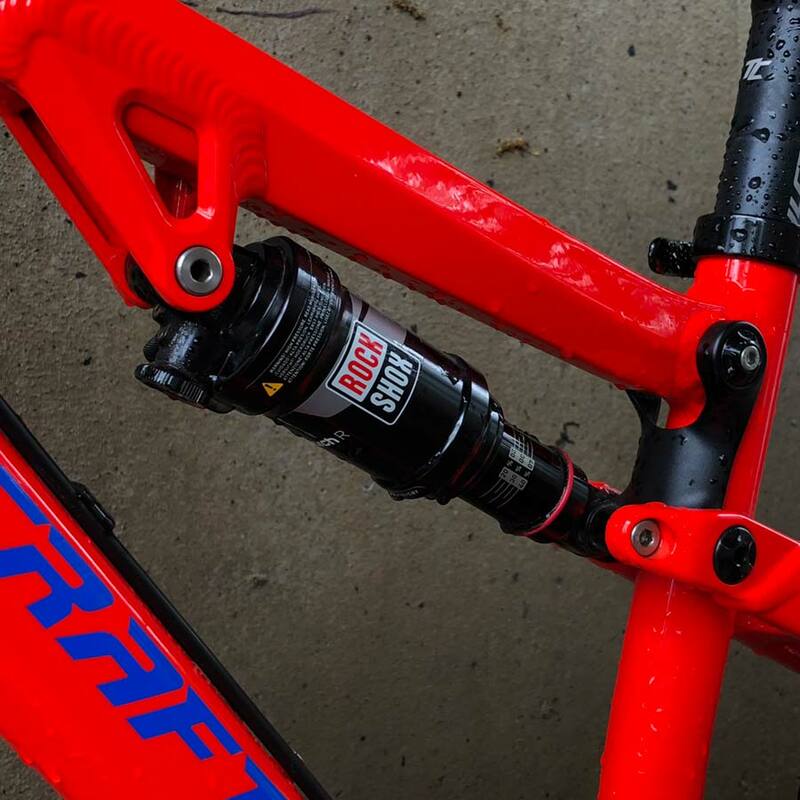 This ride gets its 100mm squish from a RockShox Monarch R in the rear and a RST Snyper fork. 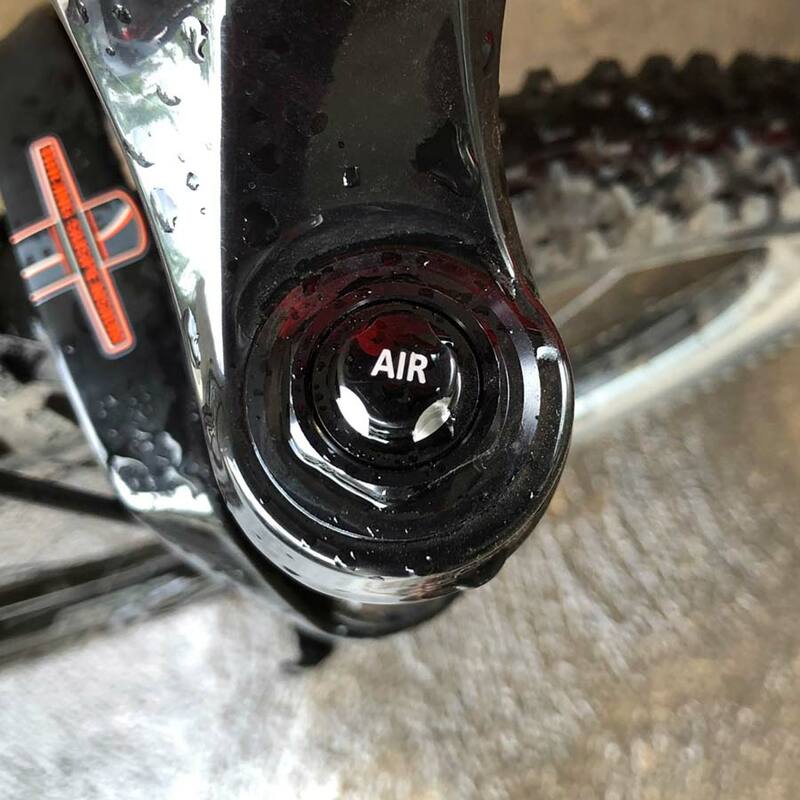 Both of these air shocks feature lock outs so your young rider can achieve maximum efficiency for the climbs. 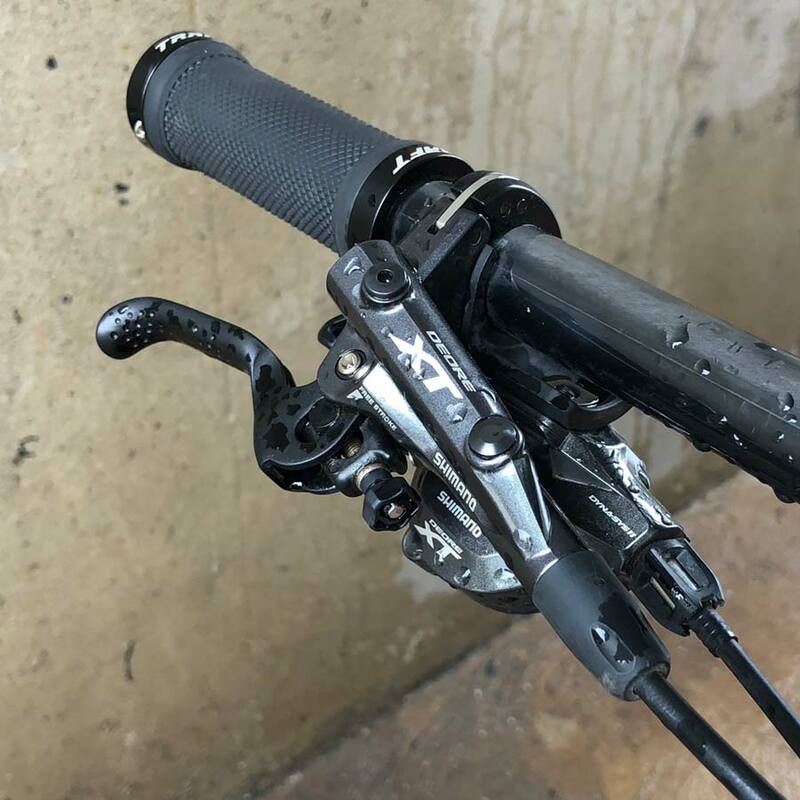 Who doesn’t love Shimano XT M8000 brakes? The list is small and unless you have a better pair laying around the garage, we think these will remain on board. 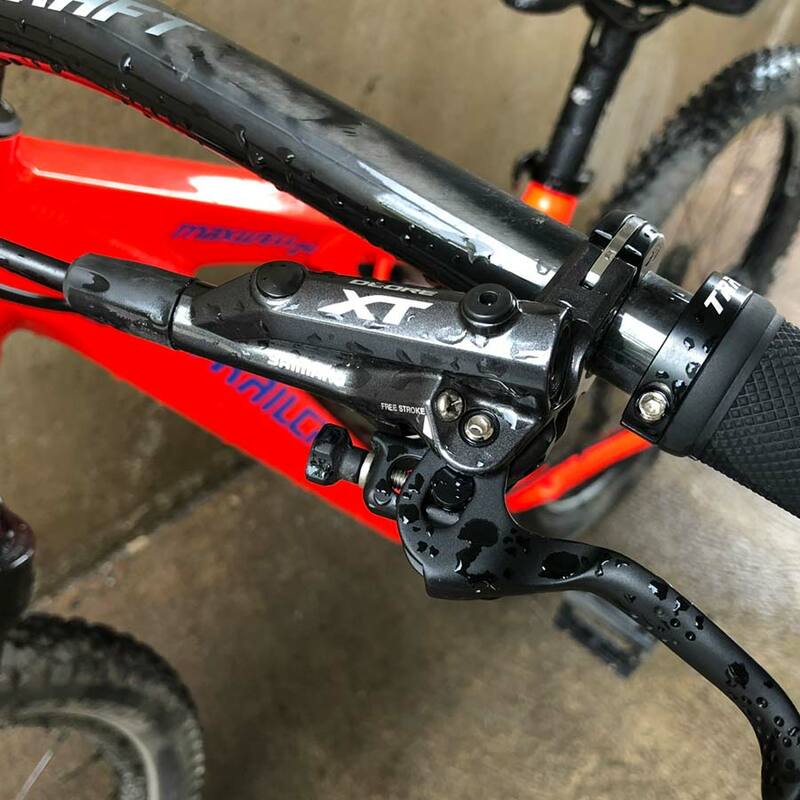 The additional bonus with these brakes is that the reach from lever-to-grip can be adjusted so your young biker can easily grab the stoppers and feather them with ease. 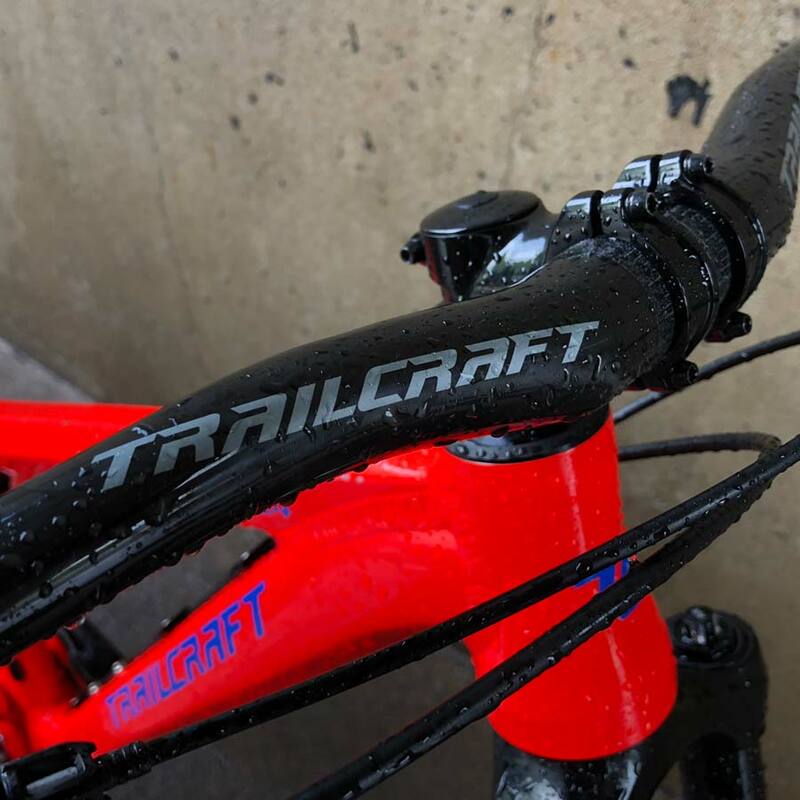 We were very excited to learn that Trailcraft bikes were the inception of Stans No Tubes manufacturing their 24-inch tubeless-ready rims. What a wonderful solution for increasing the strength and integrity of a kid specific product while keeping off the grams. Your Trailcraft Maxwell 24 with Pro XT M8000 build will arrive with Stans Crest MK3 24-hole rims laced to Superlight alloy hubs. 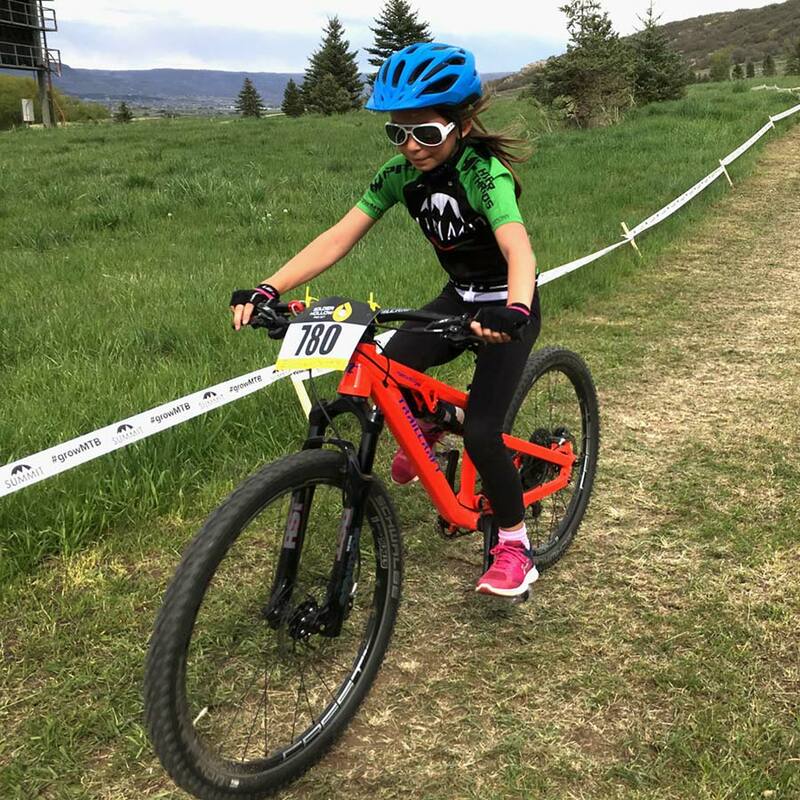 Carbon bars on a kids’ mountain bike straight from the manufacturer? Yep – they are just a womp rat’s hair wider than 28 inches. The lock-on grips are also kid specific measuring about 3.75inches in length. The saddle is smaller sized and the seat post is held in place with a quick-release lever. Kid specific bikes all boast of a proper geometry. And that rings true for most kids’ mountain bikes. Your kid is only going to be on a bike this size for a limited time. What makes riding the Trailcraft Maxwell 24 a good value is not only the geometry of the frame. It’s also the frame material, the frame design, the drivetrain, the suspension, the brakes and the wheel set. All these factors come together to form a high-end performance machine for young riders. “The suspension is really squishy!” our rider exclaimed. This was not due to having the suspension set up incorrectly. 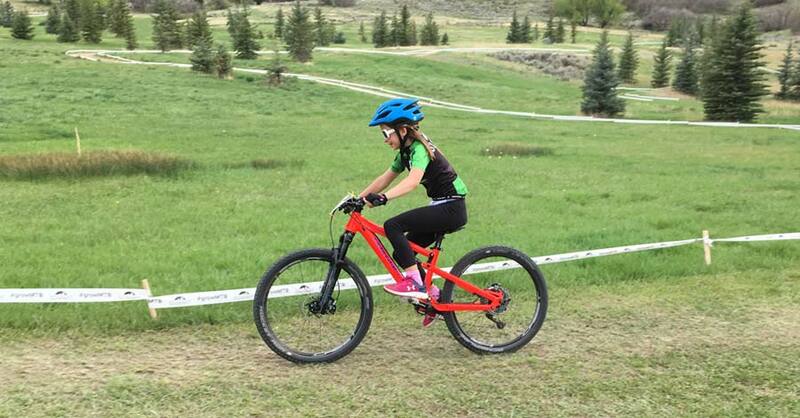 It was because this was the first time our rider was on a full-suspension mountain bike built for kids. We were able to tune the air fork and shock properly based on our rider’s weight and riding style. All the components of the bike performed as advertised. Our rider really liked the brakes because the reach could be adjusted. The Schwalbe Rocket Ron tires accomplished all that was asked of them on grass, dry dirt, and wooden features. When you first looked at this bike your first thought should be “This is an expensive kids’ bike”. Well, it’s an expensive kids’ because it’s a great kids bike. It’s a high-performance machine meant for kids who will use it, race it, and yes – eventually grow out of it. When we buy our kids bikes, we have learned that we are not owning the bike forever. We know that we are basically “renting” a bike for a season or two. And, the more we spend on something – the more it can hold its value. The Trailcraft Maxwell 24 with Pro XT M8000 build is certainly one of the few premium options for young mountain bikers. 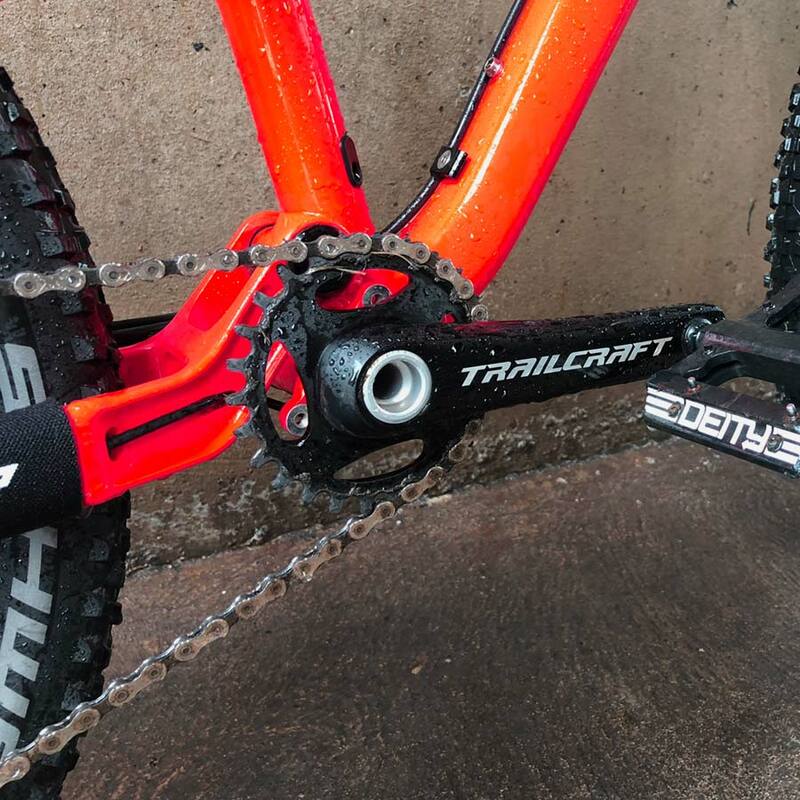 Trailcraft also has more builds for this frame including the Pro Deore M6000 and the Special Build. You can also purchase an option including the frame, fork, wheels, and cranks. The frame can be acquired a-la-carte so you can build up a complete bike with all the customizations and parts you’ve had lying around. Looking for something a littler larger? If this bike sounds amazing, but is a bit too small for your rider, check out our Trailcraft Maxwell 26 Review.